Any doubt that this week's "Freedom Flotilla" to Gaza was about politics – and not about providing aid to needy Palestinians in Gaza – was erased Wednesday when Hamas leaders refused to let the flotilla's cargo in. Among the reasons, Hamas doesn't want to give Israel a public relations victory. Israel's economic embargo on the Hamas government in Gaza – designed to keep weapons and materials for explosives out of the hands of terrorists who would attack it - is decried as unjust and illegal. But don't expect global condemnation of Hamas' decision to play politics with the material released as promised all along. It is the latest example of the fact that, while Israel is castigated for its actions, when it comes to Hamas aggression against the Palestinian people, the silence from American-Muslim organizations is deafening. Since Hamas' electoral victory in 2006, there have been many questions about how the designated terrorist group would govern. Fears that the militant organization would not moderate were validated when it violently seized control of territory from the Palestinian Authority in 2007 and became the de facto government of Gaza. Since then, the group has continued on its path of armed violence against Israel, while at the same time destroying the Palestinian society that it claims to represent. All the while, American Islamist groups such as the Council on American-Islamic Relations (CAIR) and the Muslim Public Affairs Council (MPAC)—alleged champions of the Palestinian people who are more than happy to criticize Israel for what it views as similar acts of hostility— have sat on the sidelines while Hamas cracked down. When it comes to Hamas aggression against the Palestinian people, the silence from American-Muslim organizations has been deafening. While critics decry the Israeli blockade of Gaza as a violation of humanitarian law that deprives the Palestinian people of necessary resources, nobody blinks when Hamas runs the Gaza economy into the ground. Where Israel and Hamas destroy homes that were illegally built, Israel is taken to task by the international community while the criticism of Hamas is mild at best. When Israel is chastised for "targeting" Palestinian civilians, Hamas' brutal execution of "collaborators" barely receives a head shake. "they say Israel is the only democracy in the Middle East. This is a lie. Israel is not a democracy. Israel is a theocracy, and is an apartheid state, against every fiber of the modern world." "Imagine if Black African persons from South Africa were required to take an oath of allegiance to the apartheid system and if one refused or dares to challenge such injustice he or she would be sentenced to prison…that is basically the news coming out of Israel these days." 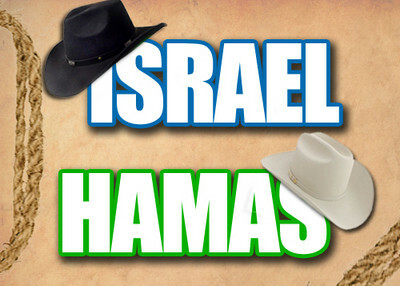 Although these groups are quick to denounce Israeli policies, they remain unwilling to do the same of Hamas. While the terrorist group ran, in part, on a platform to reform Fatah's corruption, since taking power it has forced restrictive provisions of Sharia on the residents of the Gaza Strip. Among the recent policies imposed by Hamas are bans on men working in women's beauty parlors, segregation of public beaches, and banning women from riding motorcycles. CAIR and MPAC often blame the Israeli government for the bleak economic situation in the Gaza Strip. Frequently, this criticism takes the form of claims that Israel's attempts to prevent weapons from entering the Hamas-controlled area have created a humanitarian crisis. Such claims reached a crescendo this week with the "Freedom Flotilla" fiasco. "the collective punishment of Gaza is a war crime, a violation of international law, and a massive impediment to any peace process." "It is imperative that President Obama not only speak out strongly against this massacre of civilians but also demonstrate our nation's outrage at Israel's brutal actions by taking concrete steps to end the humanitarian siege imposed on Gaza with America's support." While critical of Israel for allegedly "creating a humanitarian crisis," these groups have remained silent while Hamas has contributed to the awful economic conditions in the Gaza Strip. Although promising to revitalize the Palestinian economy in the Gaza Strip, the economic situation has become even direr since the militant group took over and failed to pay civil servants their salaries for nearly a year. In January 2010, it was reported that police and government employees on the Hamas payroll had again been denied pay. The response to this financial shortage has been disastrous for the Palestinian people. Unfair and strict tax laws have been implemented including a 60 percent tax on cigarettes, heavy taxes on property, and the seizure of more than a quarter of a million dollars from Arab Bank that had been frozen out of fear that it was funding terrorism. Enforcement of these policies has been swift and harsh. Hamas has confiscated cigarettes and painkillers from Gaza shops and destroyed them, and jailed people who refused to comply with the newly imposed economic regulations. "The Israeli's have been maiming children, have been killing innocent people, have been bombing cities, no objection by the United States…all these things are happening, are happening in the name of the United States." In a joint statement issued on May 20, 2004, American Muslim groups decried Israel's "indiscriminate killings of innocent Palestinians, including many children," and its "demolition of Palestinian homes" among other things. But when Hamas engages in similar behavior? Silence. More than simply imposing Sharia and strict financial regulations, Hamas has violently cracked down on the civilian population of the Gaza Strip. In March, Hamas executed two Palestinians who were suspected of "collaboration with Israel." Fathi Hammad, the Minister of Interior, announced that the group would "continue to implement execution sentences" despite public outcry. "They promised reform and change—instead they've destroyed our homes." Contrast the willingness to criticize Israel for alleged acts of aggression against the Palestinian people with the silence of the same critics when Hamas represses Palestinians. Today, CAIR demands that President Obama condemn what it calls a massacre on the flotilla. It has never condemned Hamas or called on others to do so.In 2002, CAIR's Ibrahim Hooper was challenged to do just that, but refused saying "we're not in the business of condemning." As recent events suggest though, that's only half of the sentence. In reality, it concludes, "...unless it's against Israel."